It is no surprise that automakers don’t generally market to women. However, more should reconsider their marketing campaigns as three in four moms deem themselves the primary decision maker when it comes to new car purchases, according to a recent article in MediaPost. Although online shopping has helped the car browsing and purchasing model, many people still prefer to visit dealerships in order to negotiate a price. Most dealerships, however, still have an outdated business model when it comes to selling to women and this is hindering their bottom line sales. For example, there are still dealers and sales people who may not negotiate with women although it has been found that more women enjoy negotiating as opposed to men. As women are becoming the decision makers in many families, it would benefit dealerships to appeal to these women, reaching them where they are online and in real life. Gone are the days of not knowing what kind of car or deal women wanted. The twenty first century woman, and mom, does her due diligence before going to the dealer lot. For the budget conscious woman, leasing might be more favorable than flat-out purchasing a car. Leasing is a shorter-term agreement, usually 36 months, compared to a car loan, around 60-months. Instead of committing your individual or family budget to a long-term loan, leasing offers a more convenient option. 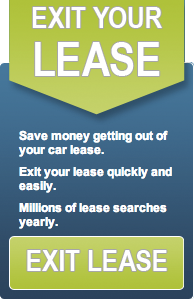 Swapalease.com, the largest online lease transfer marketplace, offers car shoppers the chance to exit their lease. By matching up individuals looking to transfer out of their lease early with drivers looking to take on the remainder of the short-term lease, Swapalease.com helps both parties save time and money. Headquartered in Cincinnati, Ohio, Swapalease.com is the world’s largest automotive lease marketplace and the pioneer in facilitating lease transfers online. For more information about Swapalease.com or how to exit your lease early, call 866-SWAPNOW or visit Swapalease.com. Experian recently found that auto brand loyalty was, on average, a success rate of 49.5 percent, meaning that dealerships had a 50/50 chance of getting return business for the same brand. This information, listed in a recent Forbes article, also mentioned that common knowledge would have longer-term owners to be brand-loyal customers, however, the opposite is true. Lessees who take on a 12-month vehicle lease are 57.3 percent more likely to be a brand-loyal customer. As the article mentioned, it is those who lease vehicles that will likely be brand-loyal customers. How come? As it turns out, a fixed lease term contributes to creating brand-loyal drivers. For long-time car owners a lot has changed since they last got a vehicle such as credit score and vehicle budget. Since vehicle leases are usually 36 months long, not much has changed for these drivers making it easier for them to get a new model of the same make they just returned. For lease cycles that are shorter than 36 months, brand loyalty is even higher. Swapalease.com recently polled many of its lease transfer customers and found that roughly 68 percent of those polled said they were interested in staying in the same brand family. This number shoots up to 75 percent when it is a luxury brand such as BMW, Mercedes-Benz or Lexus. For those who are in the market to get a new car leasing might be the best option, especially if you’re looking for a shorter-term commitment then getting stuck with the same car for the next 72 months. Swapalease.com offers an alternative to buying a car. The largest online lease trade marketplace, Swapalease.com helps drivers exit their lease early. For drivers shopping for a newer vehicle, Swapalease.com allows buyers to take over the remainder of a lease. What better way to get into a new vehicle than by taking over a lease? There is no down payment needed and most times it’s the cost-effective option. Gas prices have been on a steady decline and the automotive industry has taken notice. These declining prices haven’t only affected drivers’ pockets but have affected dealerships as well. The national gas price average for November 2014 is $2.96 compared to $3.24 in 2013. Why is this so important? Not only are consumers beginning to feel the economy continuing its recovery from the Great Recession but many are also taking this opportunity to get into bigger vehicles, such as trucks and SUVs. It’s almost beginning to feel like 2005 all over again. Electric (EV) and hybrid vehicle sales have steadily increased since 2012, reaching 88, 149 sales so far in 2014. However with falling gas prices, dealers have recently found it more difficult move these vehicles out of their lots and onto roads. More buyers are coming in to purchase that truck or SUV they wanted but opted not to get with high gas prices. The demand for and sales of SUVs and trucks has grown 15% from October 2013. Electric vehicle and hybrid sales didn’t fare so well in October 2014. Sales for both Ford’s C-Max and Toyota’s Prius dropped, 22.5% and 13.5% respectively. Even on Swapalease.com, there has been an 11% increase in hybrid and electric vehicle listings compared to the same time last year. A few of the most common hybrid and EV vehicle listings on Swapalease.com are the Toyota Prius, Chevrolet Volt, and Ford C-Max. The growing demand for trucks and SUVs, paired with the lower gas prices has also greatly affected the purchase price of hybrids and EVs with many manufacturers offering incentives. For individuals looking to get out of their car lease early, Swapalease.com is the perfect place for your listing, especially since demand to take over a short-term fuel-efficient vehicle hasn’t waned. As Scot Hall, Swapalease.com EVP of Operations said, “Swapalease.com offers individuals with a new desire to drive a larger vehicle a great alternative because there is no credit harm in exiting their smaller car lease early,” Hall also mentioned that transferring leases are beginning to feel like mobile phones, getting into the next best thing as soon as it comes out and whenever we feel like it.